The Roll of Honour lists 43 members with five names in red of those who died. The Roll of Honour has a hand-painted border of pink roses with the Union flag and laurel wreath top centre. The names are hand scripted. 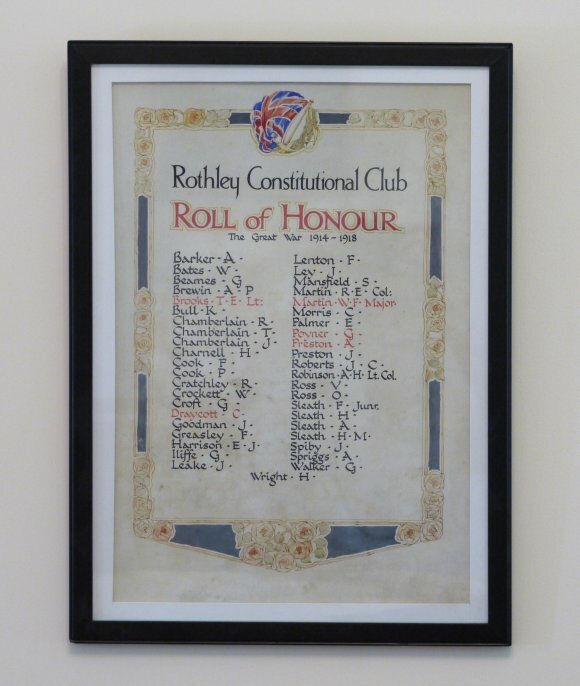 There is no indication of who designed and made this Roll of Honour.